WASHINGTON -- Volkswagen’s emissions scandal deepened on Monday when the U.S. EPA said several additional models from the automaker, including Audi and Porsche nameplates, contained illegal software that masked higher emissions than allowed by U.S. regulations. The agency said emissions “defeat devices” were used on the 2014 VW Touareg, 2016 Audi A6 Quattro, A7 Quattro, A8, A8L, Q5, as well as the 2015 Porsche Cayenne powered by the automaker’s 3.0-liter diesel engine. Previously, only models using VW’s 2.0-liter diesel were involved. The disclosure broadens the scope of the emissions scandal rocking VW. The group’s 3.0-liter diesel was developed by Audi, while the 2.0-liter diesel already found to use defeat devices was developed by VW. The EPA’s announcement also formally implicates Porsche in the scandal for the first time, more than a month after former Porsche boss Matthias Mueller was tapped as CEO of the VW Group following the resignation of former chief Martin Winterkorn. In a statement from its headquarters in Wolfsburg, Germany, parent company Volkswagen AG denied it had installed software to mask its emissions. It said it was informed by the EPA that its V6 diesel engines had a software function that “had not been adequately described” to the agency in VW’s applications for certification that its vehicles met U.S. emissions standards. In its own statement, Porsche Cars North America said the company was “surprised” to learn of the alleged violations. The EPA’s new Notice of Violation covers about 10,000 vehicles from the 2014 and 2015 model years. The EPA also said an unknown number of 2016 model year vehicles are involved. "The EPA's investigation into this matter is continuing," the notice said. "The EPA may find additional violations as the investigation continues." In the notice, the EPA said VW manufactured and installed software in the electronic control module of the affected 3.0-liter diesel models that allowed it to pass U.S. emissions tests in a lab but emit nitrogen oxide emissions at levels higher than legally permitted in other situations. It also said the automaker failed to disclose certain software functions that affected emissions performance as required by law, and that such software is considered to be a defeat device when it is designed to circumvent emissions tests. According to the EPA, software on the 3.0-liter diesel models could sense when a vehicle was undergoing formal U.S. emissions testing, and in turn would switch on a “temperature conditioning” engine mode. In this mode, settings for ignition timing, exhaust gas recirculation rate and common-rail fuel pressure were set to yield high exhaust temperatures and low Nitrogen Oxide emissions, the EPA said. The high exhaust temperatures would then heat the vehicle’s selective catalytic reduction system, improving its ability to reduce tailpipe NOx emissions, according to the EPA’s notice of violation. That software had a timer that would end the low-NOx “temperature conditioning” mode one second after completing the “initial phases” of a U.S. emissions testing procedure. The engine would then switch to a “normal mode” where the emissions control system was less effective, the EPA said. The EPA also said that when the vehicles were started in conditions different than that federal test procedure, the vehicle skipped the low-NOx mode and started under the normal, higher-NOx mode, where tailpipe NOx emissions were up to nine-times greater than the legally-permitted levels, the EPA said. The EPA also said the software at issue contained Auxiliary Emission Control Devices that were not disclosed to the agency as required by law. In general, such software is legal if its functions can be observed during testing and it is properly disclosed to the agency. In a conference call with reporters, EPA officials said the “defeat device” software found on the 3.0-liter diesel engines was discovered through the agency’s joint testing initiative with the California Air Resources Board to seek out such defeat devices on diesel vehicles industrywide. That probe has so far only discovered defeat devices on the VW, Porsche and Audi models identified by the agency to date, Janet McCabe, acting assistant administrator from the EPA’s Office of Air & Radiation, said on the call. The EPA’s Sept. 18 violation covered 482,000 VW Group vehicles with 2.0-liter diesel engines, including the Jetta, Golf, Passat, and Audi A3. While the agency, along with CARB, plans to test all light-duty diesel vehicles on sale now for defeat devices, it’s not certain whether any automakers have been cleared to date. Monday's developments prompted angry reactions from U.S. lawmakers. VW of America CEO Michael Horn told a U.S. House panel last month he believed it was the work of a “couple” of engineers that led to the defeat devices in the 2.0-liter diesels, rather than a corporate decision. 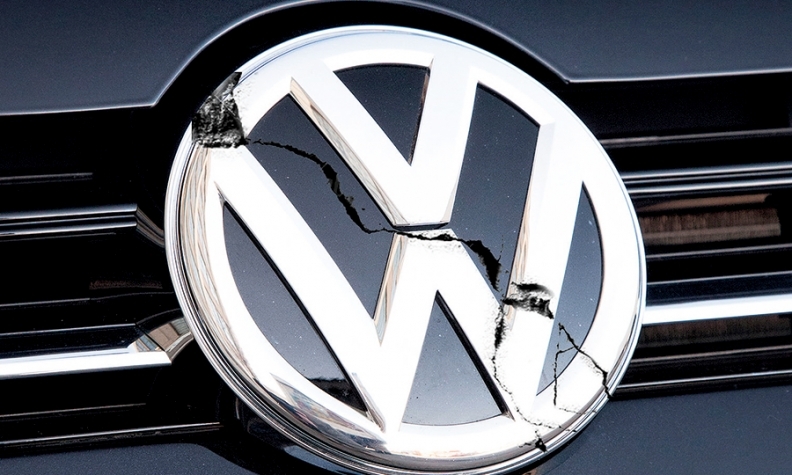 “The latest revelations raise the question, where does VW’s road of deceit end? The EPA expanding its investigation prompts questions regarding the prevalence of the emissions cheating and how it went undetected for so long,” said a bi-partisan group of lawmakers from the House Energy and Commerce Committee panel that held the hearing, including full committee chair, Rep. Fred Upton, R-Mich.
U.S. Sens Richard Blumenthal, D-Conn., and Edward J. Markey, D-Mass., said in a joint statement that VW should be "held accountable for illegally using defeat devices to cheat consumers and emissions controls." The expanded lists of nameplates involved in the scandal also could spark additional litigation At least one major U.S. plaintiffs' law firm on Monday issued a statement soliciting additional claimants. VW faces an estimated 325 consumer lawsuits in U.S. courts over the matter, according to Bloomberg estimates. How will VW use energy unleashed by diesel crisis?